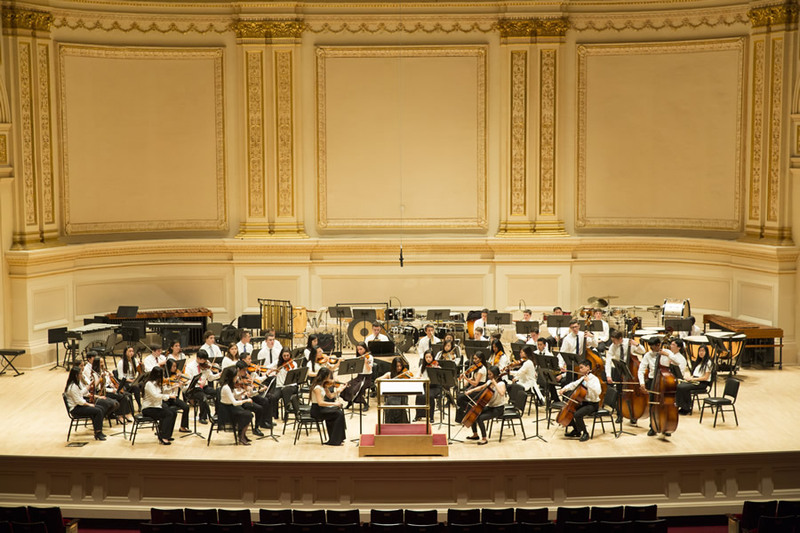 Instrumental music at SI comprises the Symphonic Orchestra, Chamber Orchestra, Jazz Band, Jazz Combo, Broadway Pit Orchestra, Piano Recital and Chamber Music. We invite you to come to the winter and spring concerts and to the piano recital to see our talented students perform. Music just doesn't happen at SI. Students perform at the Fillmore Street Jazz Festival, at high school orchestra competitions and festivals, in New York's Carnegie Hall and in Africa. The 2011 & 2013 Kenya Music Exchanges provided an opportunity for musicians – both students and teachers from St.Ignatius College Prep, the Mount Kenya Academy, and the Kenya Conservatoire of Music – to collaborate on joint rehearsals and performances to bring increased awareness of how music is experienced in another culture, to demonstrate how music can be universally understood, appreciated and enjoyed, and to explore the roots of both classical music, traditional African, and jazz art forms. Performances took place at the Kenya Conservatoire of Music in Nairobi and the Mount Kenya Academy in Nyeri in late July. Click here for more info about our trip to Kenya.